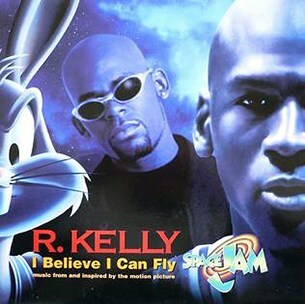 I Believe I Can Fly is an R&B soul gospel song written, produced and performed by American singer R. Kelly, for the soundtrack to the 1996 film Space Jam. 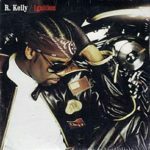 The song was later included on his 1998 third studio album R.
Commercially, the song was a colossal success, giving rise to numerous cover versions by artists as well as prominent features on film and TV. In the US, it reached Number 2 on the Billboard Hot 100, deprived of the number-one spot by singer Toni Braxton‘s Un-Break My Heart. 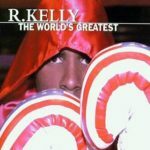 However, the song got its pound of flesh on the Billboard R&B Singles Chart, where it prevented Un-Break My Heart from topping the chart for four weeks. In the UK, the song was Number 1, a feat it also achieved in 7 other countries. 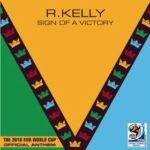 This is one of Kelly’s most successful singles; it won three Grammy Awards and is ranked number 406 on Rolling Stone’s 2004 list of the 500 Greatest Songs of All Time.